London Retailer John Lewis has opened a massive 230,000 square foot retail location with a dedicated Apple HomeKit display in the Westfield London shopping center. 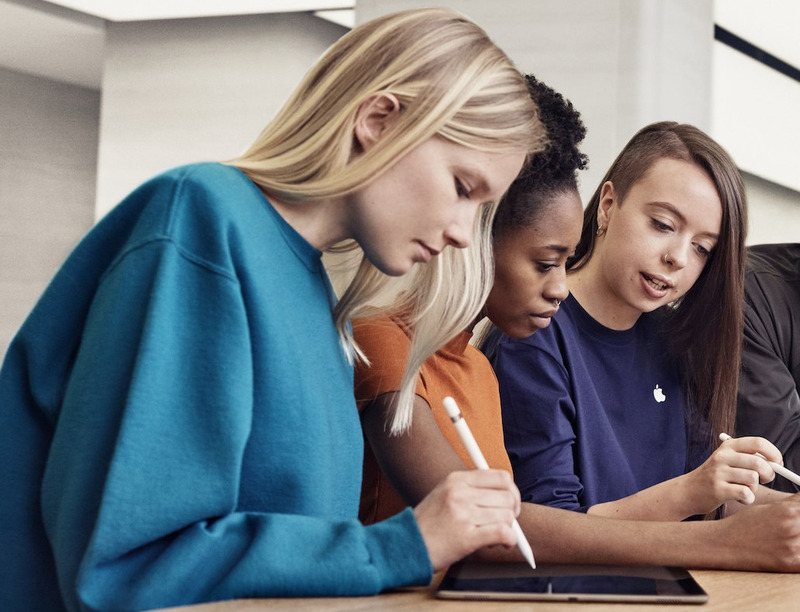 In honor of International Women's Day, Apple will be hosting a number of events in select retail outlets around the world to celebrate the achievements of women, including one evening in the Paris Marche Saint-Germain store that will be used as a recruitment event for the company. In a move seemingly designed to increase sales and local sentiment, Apple will soon accept payments from popular Chinese service Alipay at its 41 brick-and-mortar stores in the country, the first third-party system in the world to enjoy support from Apple's retail arm. Apple is facing a rare adverse reaction to the design of a proposed global flagship store in Australia, with the Melbourne City Council on Tuesday voting to lobby the government and Apple for a new aesthetic. Apple opened the doors to its first retail store in South Korea on Saturday local time, and the company's head of retail Angela Ahrendts was on hand to take part in the grand opening festivities. Apple on Wednesday posted a few photos of preparations being made at Apple Garosugil, the company's first retail outlet in South Korea that is scheduled to open its doors to customers on Saturday. Apple is working hard to complete interior and exterior renovations at a three-story retail space in Vienna that will serve as the company's first official outlet in Austria, a location rumored to open next month. Employees at Apple Pioneer Place in Portland, Ore., arrived at work early one November morning to a surprising scene: a Barred Owl, a rare sight in the city, dazed and standing atilt next to the store's two-story glass facade. One month after the earlier launch of iPhone 8 and 8 Plus drew lines of its own, buyers excited for iPhone X again flocked to Apple's retail stores to be among the first to get the new phone. At San Francisco's flagship Union Square location, a line of over 200 were waiting when the doors opened, and even hours later there were new arrivals joining a line down the block in the early afternoon. Samsung is partnering with shared workplace startup WeWork to roll out a string of "care centers" at which customers can receive help with their Samsung device while taking care of business, an idea that aims to one-up Apple's Genius Bar. Apple is making steady progress on a next-generation retail outlet in Seattle's University Village mall that, once complete, will stand face-to-face with a Microsoft Store located just feet away. Apple SVP of Retail Angela Ahrendts was in Chicago this week as her team makes final preparations for the grand opening of the company's latest flagship store, a huge riverside "town square" that will anchor one end of the city's North Michigan Avenue shopping district. At Apple's Union Square flagship retail store in San Francisco, an early morning line of about 100 people formed down the block for new iPhone 8 and Apple Watch Series 3 buyers, split between users with pre-order reservations and people who just stopped by to pick up the new gear. Apple appears to be nearing completion of a soon-to-be-relocated mall outlet in Austin, Tex., that looks to feature exterior -- and likely interior -- design elements consistent with the company's "Apple store 2.0" aesthetic. Apple on Saturday opened the doors of a relocated Reno, Nev., retail outlet to a crowd of eager customers, the latest in the company's chain to benefit from an "Apple store 2.0" redesign developed under executive Angela Ahrendts.